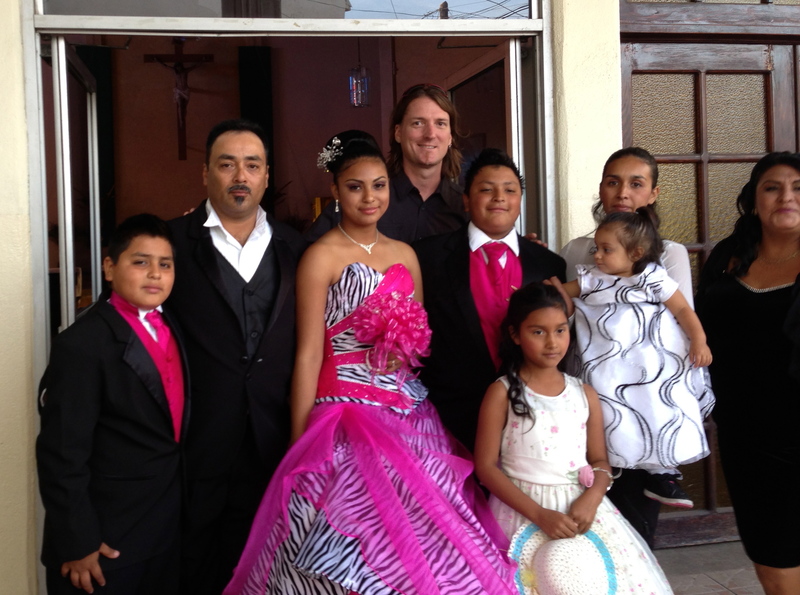 Wayne with Carlos’ family last year at his daughter Jasmine’s quinceañera. This month we dedicate this update to a special friend Carlos. He was killed while defending his place of work in Tijuana. He leaves behind a beautiful family who still grieve the loss of their daughter/sister Karen who died 5 years previously. You can read Karen’s story here. We started the Karen Fund, mercy emergency aid, to help others with medical needs who lack the funds to receive it. We also will be helping Carlos’ family. If you would like to help you can do so through our donate link.